No more manually entering all the details - just set up your fields and this feature populates the information for you. 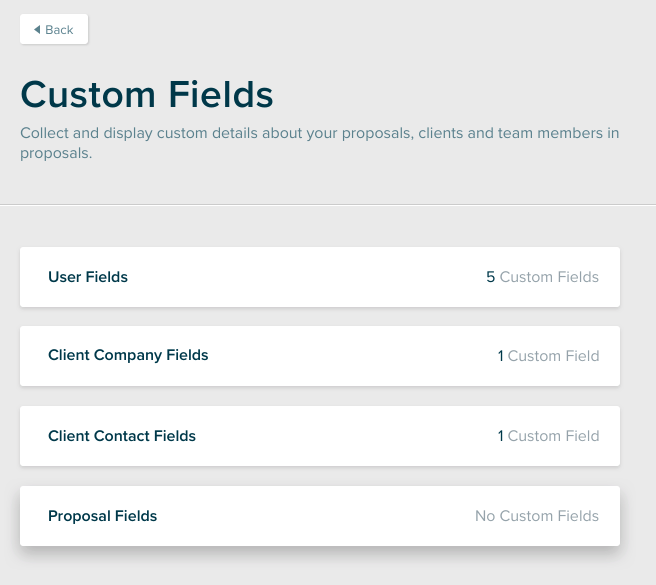 This feature allows you to add new form fields to Proposify in the proposal settings, client company and contact areas, and then automatically populate that information in your proposal using your custom variables. Here's a video walking through setting up and using custom fields. Get to your custom variable settings from the account settings page. Select a section in which a new custom field will be added. Click add custom field button to add. a) Fill out the name and value for a new custom field and save. 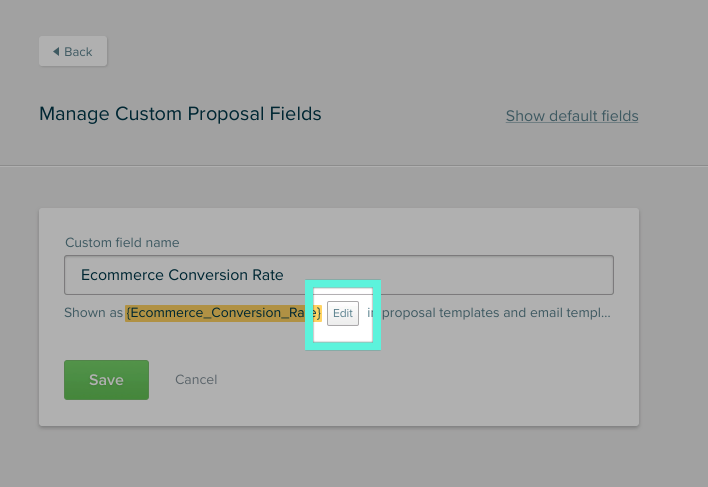 b) Click the edit button to customize the shortcode used to signify the custom field. You can edit and manage all your variables (Your Company, Your Client, Your Proposal and your custom fields) when you are writing a proposal from the Variables pane in the editor. Insert a variable through shortcut # by double clicking inside the textbox and use the # key on your keyboard to bring up the variables menu. 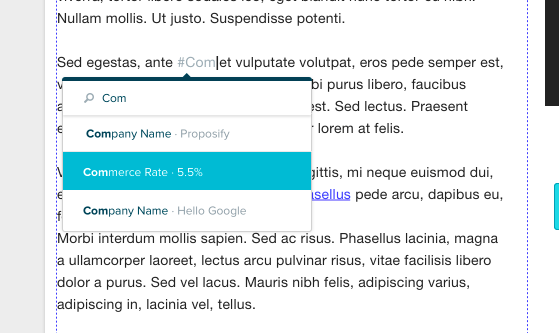 Click on the variable in textbox and a popover will be triggered. Click on the edit icon and a variables list will show up that you can use to swap out to a different variable. You can also use the eyedropper icon to change the background color of the variable for visibility. Any custom fields that you have set up in proposals will be removed and, where applicable, replaced with their current value. 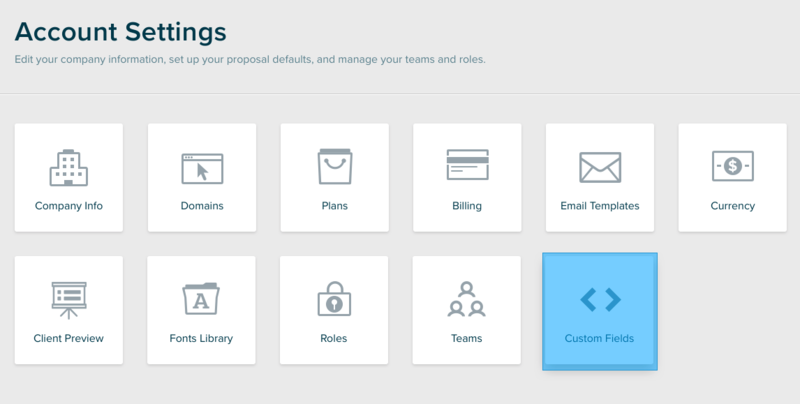 Save time by setting up custom fields for your proposals, contacts, and user settings. 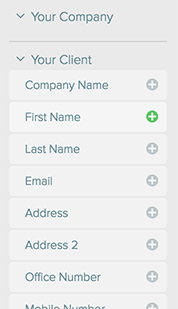 No more manually entering all the details - just set up your fields and this feature populates the information for you. If a field is deleted from the account settings, then it will be removed all proposals. Please note: Not available on all plans.